Carpet Cleaning on natural fibres is simple and yet has to be carried out effectively. The use of many modern day chemical solutions in Carpet Cleaning may easily damage the fibres of the carpet. This carpet can also be treated with water repellents to help them away from absorbing liquid stains with ease. Deep cleaning is also important for this carpet. For deep cleaning, only dry cleaning methods should be applied to the carpet. This can be handled by professionals. When vacuuming wool carpets, caution is important. The use of vacuums with brushes will only pull out the yarn from the carpet leaving it bare after a while. The vacuum process should be carried out meticulously to pull out the dirt from the carpet to the machine bag. Alkaline cleaners are harmful to the wool carpets. When cleaning stain spills from the carpet, you should use a cloth for bloating the stain then rinse the stain using clean water damp cloth after the use of soapy water to remove off any remains of the stain. 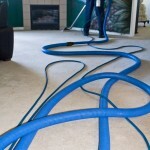 For deep cleaning, you should let the professionals handle the carpet. Woollen carpets are known for their absorption power. They could take in too much water and remain damp for days if home cleaned. However, the professionals have the tools and skills to handle the deep cleaning process. Vacuum cleaning the synthetic carpet is quite easy. You need a vacuum cleaner with a beater brush running on the carpet to pick up all loose dirt. Move the carpet in all directions and the brush will loosen all loose dirt to be picked by the suction nozzle of the cleaner. In case of spill stains, you should blot the stain fast before it seeps into the carpet. The next step is use vinegar or soapy water bloated on a cloth to remove the remaining bit of the stain on the carpet. After this, the carpet should be rinsed using a damp cloth. The synthetic fibre carpet is hardy and is not very sensitive to many of the cleaning solutions available in the market. For deep cleaning, you can choose to do it by yourself or have professionals handle the cleaning. If doing it by yourself, you need to vacuum the carpet first then use extraction machine to clean. You can then dry the carpet using a fan or air conditioner. For the extraction machine, you can rent it from rental companies. Contact us for more info!